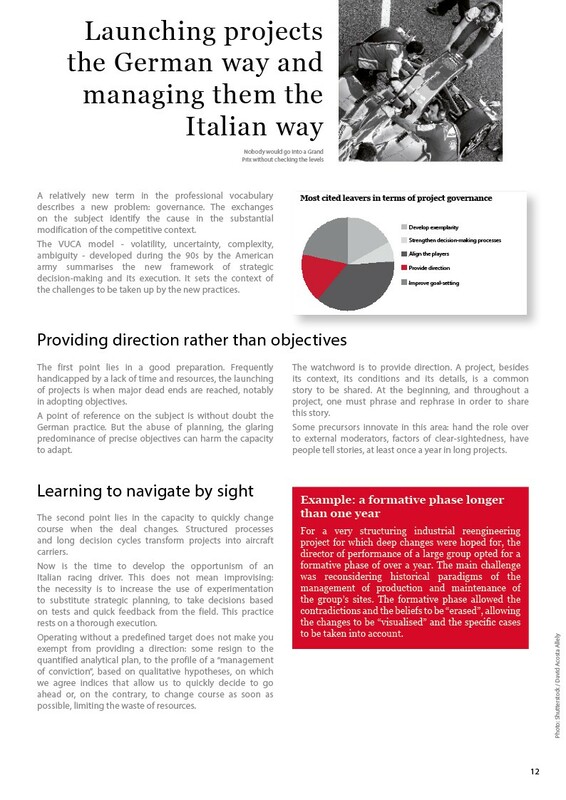 During our investigation of implementation excellence you often refer to motor sport and different cultures that together enable excellence in real time: the German importance of preparation and the Italian tactical sense based, primarily, on situation analysis and response capacity. See our record on implementation excellence and take part in the joint reflection that we are spearheading with our key customers on this major issue of project success. To download this article from the study, click the image below. « Implementation Excellence Survey – Episode 2: Is a project a goal to be achieved, a collective narrative or a process?